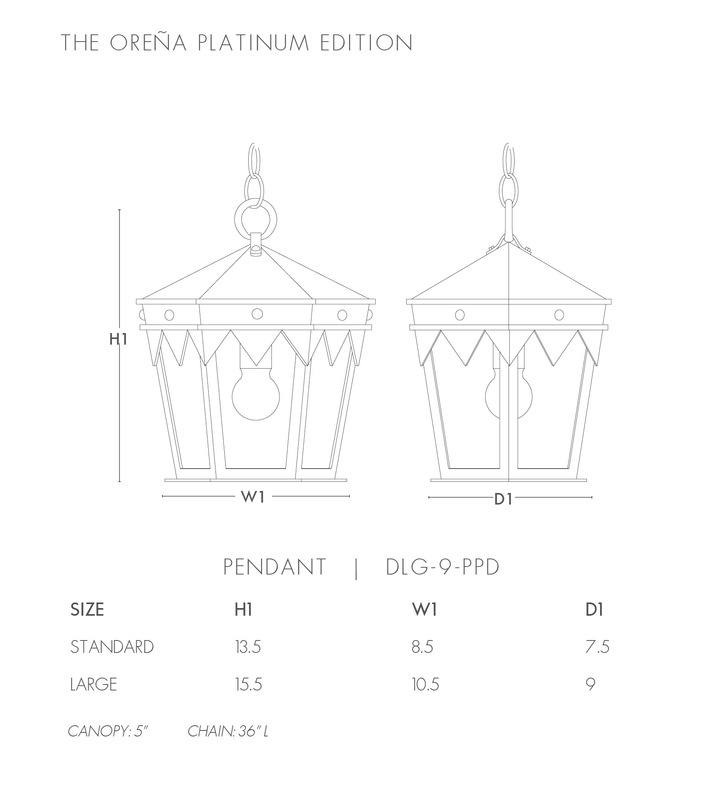 Our classic Oreña Pendant in a brushed nickel finish. With Antique glass and a standard socket. Available in two sizes. Lantern shown as Large in DLG Brushed Nickel finish with DLG Antique glass.